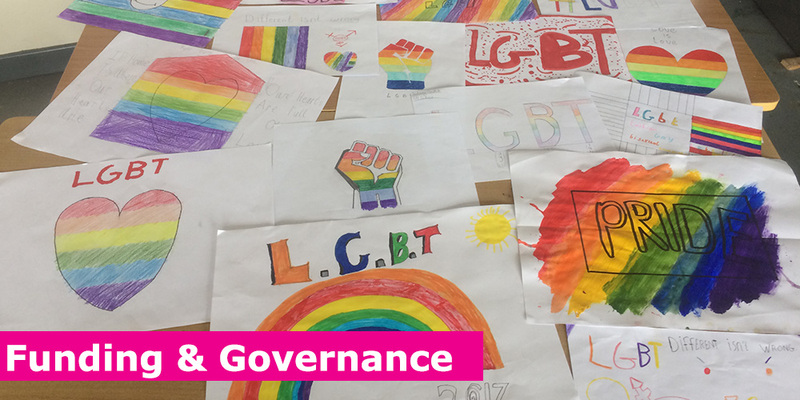 BeLonG To Youth Services Board aspires to the highest levels of governance and openness in all of our work to eliminate homophobia and transphobia, and support LGBTI+ young people and families in need. In 2018 we were delighted to be short listed for a Good Governance Award. We work with more than 1,500 lesbian, gay, bisexual, and trans young people and families each year. 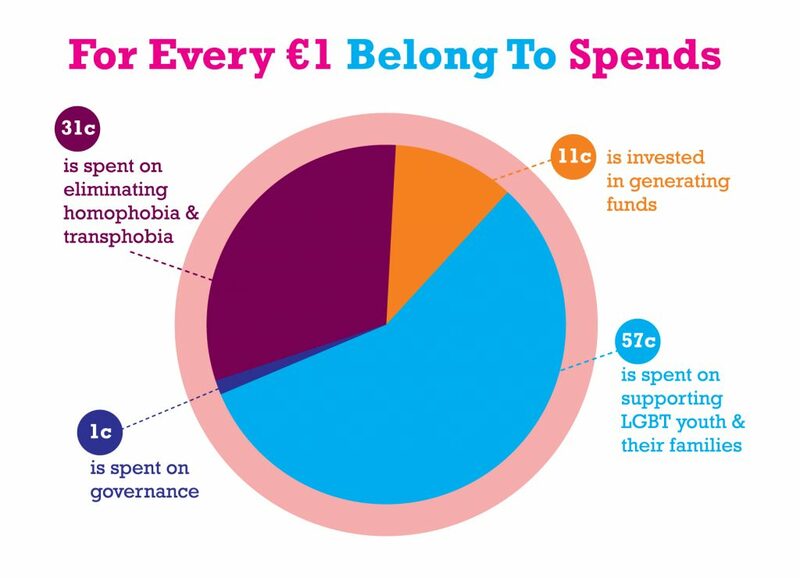 Our annual expenditure is approximately €830,000 you can read more about our finances in our annual impact reports and financial statements. Our team of qualified and skilled staff work in very sensitive situations with young people who have very complex needs. We support and empower young LGBTI+ people to thrive in their gender and sexual identity. Our direct work with young people and families is supported by professional expertise in the areas of finance, governance, advocacy, communications, and fundraising. We receive statutory funding for a number of our projects and programmes, all aimed at changing the experiences LGBTI+ people have growing up. Each of these projects and services operates under a service level agreement and we provide detailed reports to our funders on a monthly, quarterly, and annual basis. Each year we publish our annual audited accounts on our website in compliance with the Statement of Recommended Practice (SORP) under FRS102. The Board of Directors monitors compliance with the Charities Governance Code. Our fundraising practices are compliance with the Statement of Guiding Principles for Fundraising as outlined below. BeLonG To Youth Services is committed to compliance with the Statement of Guiding Principals for Fundraising, the board has adopted a resolution to that effect and has declared itself compliant with the code in a public compliance statement. You can be assured that as a charity supported by voluntary public donations that BeLonG To will always act in accordance with our Donor Charter. We value your feedback, both positive, and negative. If you would like to give feedback or make a complaint we welcome your contribution. You will find a copy of our Compliments, Feedback, and Complaints policy here. YES, having the highest standards in Governance.